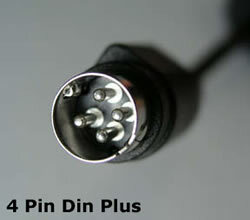 Most of LCD Monitor and Laptop Computer use Barrel Plug with 12 V DC Power Adapter, while 4 Pin Din plug use on larger size of LCD TV. Output current is not as critical as output voltage, you could select either same or higher output current adapter. For example, your defective adapter output current is 3A ( 3 amp), You used either 3A, or 3.16A or 4 A or even 5A. But you can not use the lower output current adapter such as 1A or 2A that you may be able to purchase at your local Radio Shack. 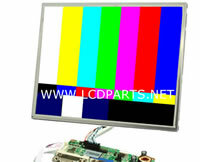 The Reason: The maximum current that your LCD monitor can draw is 3 A regardless how much more current that adapter can supply. On other hand, if the replacement adapter supples much less current then 3A, it may causing problem such as flickering, or Monitor can not be turn on. Output current is not as critical as output voltage, you could select either same or higher. For example, your defective adapter output current is 3A ( 3 amp), You could used either 3A, or bigger. But you can not use the lower output current adapter such as 1A or 2A that you may be able to purchase at your local Radio Shack. 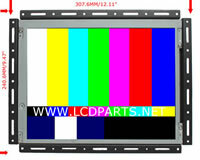 Note: The maximum current that your LCD monitor can draw is 3 A regardless how much more current that adapter can supply. On other hand, if the replacement adapter supples much less current then 3A, it may causing problem such as flickering, or Monitor can not be turn on.